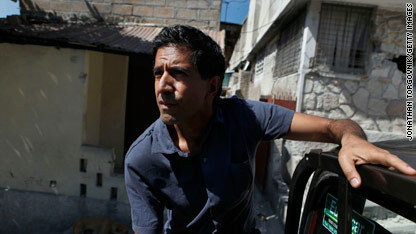 Dr. Sanjay Gupta, Anderson Cooper and others report live from Haiti tonight on AC360°. Six months ago today a massive earthquake hit Haiti, killing 230,000 people. Six months later Anderson and our team of reporters/producers back in Port-au-Prince tell us not much has changed. "It still looks like a bomb just dropped on this city," said CNN's Ivan Watson. Tonight, we're trying to find out why, after six months, life hasn't improved for the people of Haiti. Today, Anderson asked former President Bill Clinton why more hasn't been accomplished on the ground. Don't miss the 360° exclusive interview. Clinton met separately today with Haitian President Rene Preval and Prime Minister Jean-Max Bellerive. Clinton, who is the U.N. Special Envoy for Haiti, partnered with former President George W. Bush to establish the Clinton Bush Haiti Fund to help quake victims. You'll also hear from actor/activist Sean Penn, whose J/P Haitian Relief Organization is running one of Haiti's biggest refugee camps. The U.N. estimates 1.5 million people are still homeless in Haiti. That's roughly one in nine Haitians. We'll also catch up with some of the people we first introduced you to six months ago. Back in January we showed you the rescue of a young girl named Bea. Tonight see how she's doing now. We also have an update on a little girl named Jenna, who was was at an orphanage when the quake hit. Since then she's moved to the U.S. to live with her adoptive mother. Back here in the U.S., we continue to follow developments in the Gulf oil spill. This evening a new containment cap was placed on the broken well. BP hopes the cap will completely contain the oil spilling from the well. We'll have the latest from the Gulf. See you at 10 pm. ET. I have family in HAITI and yet they have nothing to rely on... there's no food or shelter. They have to buy the water from the government, all the supplies that the U S A provide turn out be a big business over there.. Nothing is being done to help those who lost their homes or loved ones.... THE UN needs to take control of the situation, from what i heard when i called " its a serious problem and they cant help themselves"
Please don't use my name; I'm shy. Re: Elizabeth and Jenna from Haiti - Jenna's anger etc. Elizabeth deserves pride and credit! After 6 months, Jenna must finally begin to feel really safe enough to let go! I just returned from Haiti on June 1, 2010, while there we assisted individuals with trauma counseling. One thing that has bothered me while there and that still continues to bother me is the poor condition six months later. The question of the day in Haiti amongst humanitarians and missionaries is “Where is the Money?” All you see there is destruction and no construction. All of this money donated and none of it being used because people are dying and suffering in front of your eyes. Many are still living in cloth tents that do not even have plastic tents that can withhold the rain better. Thee is no accountability or oversight with this money, people give money and feel robbed because the money is not getting there. On the other hand, the government here and humanitarian organizations know that the Haitian government is corrupt and once the money is put into their hands we the people have no say how it is distributed or spent or in this case not spent. A builder that was staying at the same place where I was expressed that he had cargo or big crates he was trying to get through customs that was filled with real homes that could be easily installed and put together with minimal work. However, customs is not allowing much to go through unless than can make a nice piece of money off of it, even if it is at the price of their own people! The Haitians need these supplies to live, but no one cares as long as they can make a buck. If the shipments do get through in most cases, it cost more to get the supplies through then they are even worth. It is hart breaking that what happened, happened, but on top of it, the government does not care about its people only about themselves. You would think that the Haitian government would respond differently since the world is watching them, but nothing has changed. Time after time, this mismanagement with money continues to occur after people give donations because their heart is breaking watching people suffer. This mismanagement occurred with the hurricane in New Orleans as well! Where is the accountability and oversight?? Many people are not going to continue to contribute in the near future when there are suspicious to where these donations are going! I want to start a campaign called “Where is the Money?” to hold the people that are receiving theses donations accountable. The donations that I have seen being used properly are with the churches. These faith based ministries that have been in Haiti for years are actually really reaching the people and their needs. I have seen this with my own eyes and encourage those that want to give a donation give to those ministries that have been established in Haiti for a long time. This does not include the Bush/Clinton foundation, American Red Cross, UNICEF Etc. I would like some answers from someone with some accountability of this situation because I know for a fact that I am NOT the only one that feel this way!! To be honest, the way i see it, calling the "government" of Haiti right now a Government, is probably formally correct. The official Government is obviously not very capable to handle this. Thank you for shedding light on the problem of customs demanding exorbitant taxes on relief supplies. An ambulance was shipped to Haiti several years ago to be attached to a birthing center and the cost to get it out of customs was so great that it still has not been released. This is a travesty. That country's government has no heart for its own people. I hope BP is right for once about the cap containing all the oil spill from their well; it will be a first for them. Hopefully too if it is capped and the secondary wells almost completed they can assign more people to the clean-up and actually start to show a difference getting up the oil from the Gulf. I'm not really surprised that the work in Haiti is going so slow. You have corruption/bribery on various levels of government; the rest of the government not very effective and a country that now has to rebuild itself from the ground up. I hope they do it better this time but it will take a while. Sean Penn and his group seem to be doing an amazing job – from the reports of what they have accomplished it sounds like they have good project management on it – that helps make a huge difference and may be what the rest of the efforts need as well. Looking forward to the show tonight. The pure scale of this catastrophe is too huge for me to comment on it in an adequate way, it is still too fresh. Just getting the reports is tough, but actually being there ? I am glad that there are people out there who try to pull this topic more into the front. I would guess all that money is going into the pockets of the politicians. By the looks of the capital city all that cash isn't going to help their people...NO differant to the ppl in Katrina. As soon as the newness runs off the news cycle of these storys...all is forgotten, forget the ppl killed, that lost their homes. the only way of life that they new AND, AND by NO FAULT OF THEIR OWN!!!!!! Politicans=blood sucking perasites!!!!!! I am so glad that Cooper, Sanjay , Gary, Ivan and the rest have made it back to Haiti. Not nearly enough has been reported on the plight of these people in months. I hope that we get you all there for the whole week and not just two days!! Looking forward to tonight's show!